We are witnessing a crisis of liberal democracy. A widespread fear of social decline, rapid globalization and uncontrolled immigration have culminated in a prevailing mood of hostility towards the established order. Confidence in democratic institutions and mainstream political parties is fast eroding, with people increasingly drawn towards the rhetoric of populist demagogues and authoritarian leaders. What are the roots of this revolt against liberalism and how can it be countered? 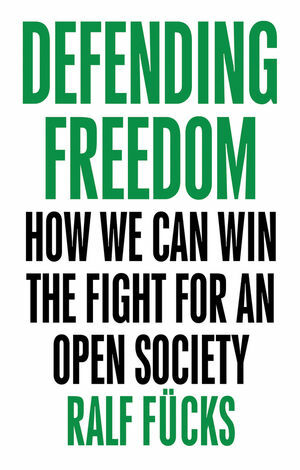 In this new book, the leading Green politician and thinker Ralf Fücks argues that the threat to liberal democracy lies within democracy itself. Democracy is the fundamental guarantor of freedom and it is our own failure to defend it that has led to the encroachment of an illiberal and divisive politics. In a powerful counter, Fücks outlines the foundations for an ambitious democratic renewal: greater investment in the public institutions to create a sense of belonging and political community; a focus on education as the key instrument for social advancement; the promotion of a democratic patriotism based on common political values; a better understanding of how to increase participation in the emerging digital economy; and sustainable innovation that will unleash the creative potential of liberal societies. This robust defense of liberal democracy will be essential reading for anyone concerned about the very real threat faced by our democratic freedoms today and wondering what we can do about it. Ralf Fücks is Co-Founder of the Centre for Liberal Modernity, a non-partisan organization that stands up for the defense and renewal of open society and looks for answers to the key challenges of our time. Formerly President of the Heinrich Böll Foundation, he was a leading figure in the German Green Party and Senator for Environment and Urban Development in Bremen.